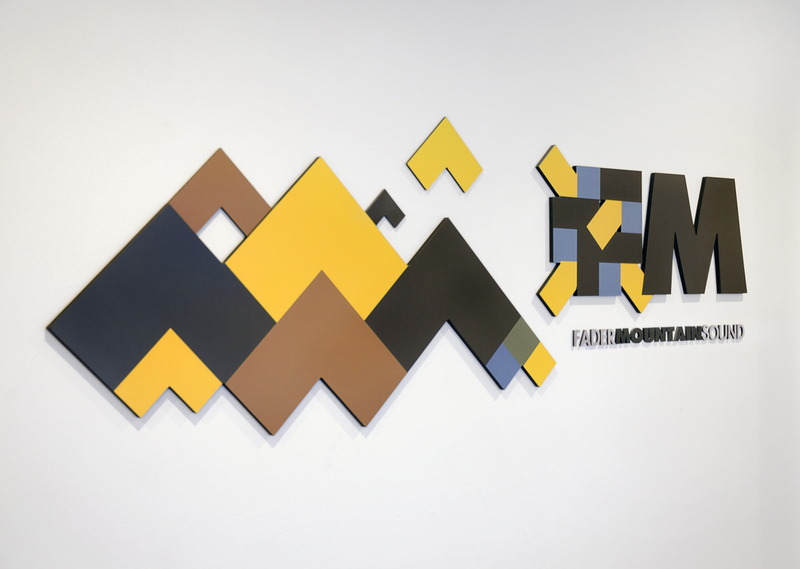 The visual interaction of the layered colors of the Fader Mountain Sound graphics requires precise alignment during the process of applying those graphics to the body of the sign. This alignment is something Anchor Signs achieves using an exacting registration system during the multi-stage lamination process. This precision registration process is something that allows us to offer our clients great freedom in realizing very exacting needs. This entry was posted in 3D Foam, Signs for Vancouver Business, Vinyl Signs and tagged 3D CNC Signs, CNC, Foam. Bookmark the permalink.